In which I ride freewheel for the first time in eighteen months, put in forty miles in the first two days, watch in amazement as spring turns to winter in a mountain glen with the sun shining and fat fluffy snow flakes and early spring butterflies ride the same gusting winds, and I discover that Rivendell’s Gus Boots Willsen, whom my daughters named Beorn of Tolkien’s “The Hobbit,” loves all terrains climbing and descending with elegance and grace, as only bears can do. 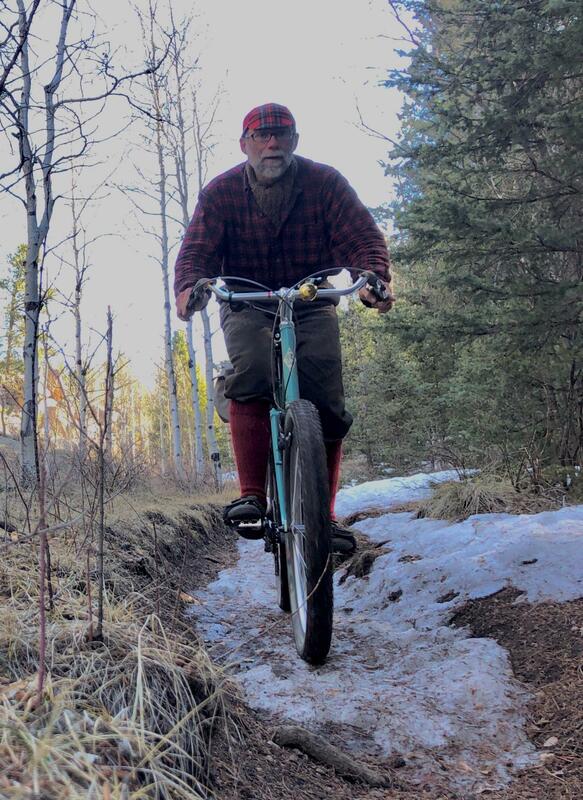 You know the bike is a success when your test ride, supposed to be 5-10 minutes, turns into two hours of delight, including trails. That’s always a good sign. Grin. 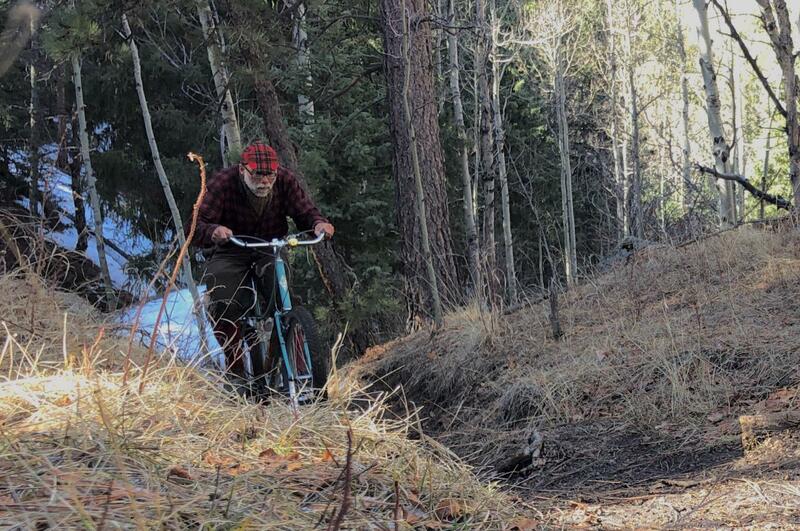 Beorn is a graceful bear of an adventure traveler. 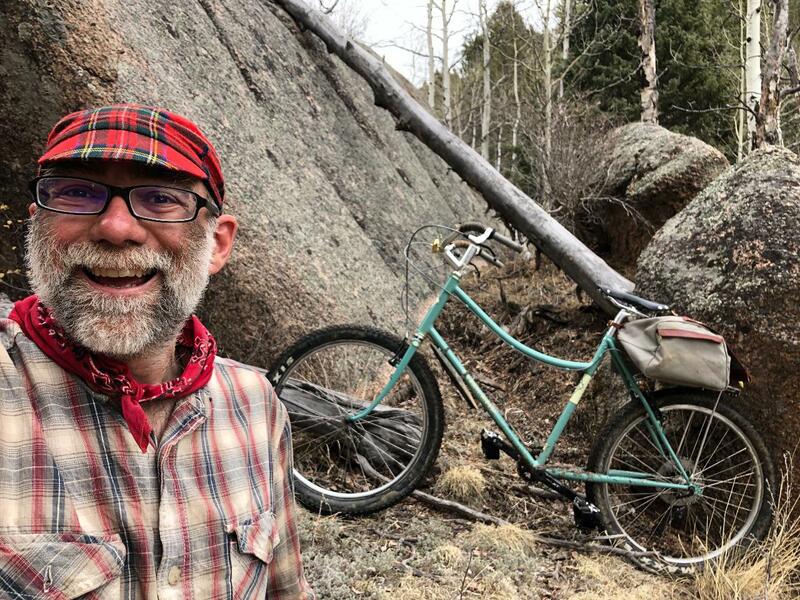 Grant Petersen has poured his decades of frame design and riding for love of the outdoors and adventure and joy (instead of conquering and racing) into Gus Boots Willsen and it shows. Immediately. This photo conveys Beorn’s quintessential feel. If you’ve ever seen a bear galumphing through the woods happy go lucky (as bears generally are), they are ambling their way with surprising speed and ease and taking in their surroundings as they go. 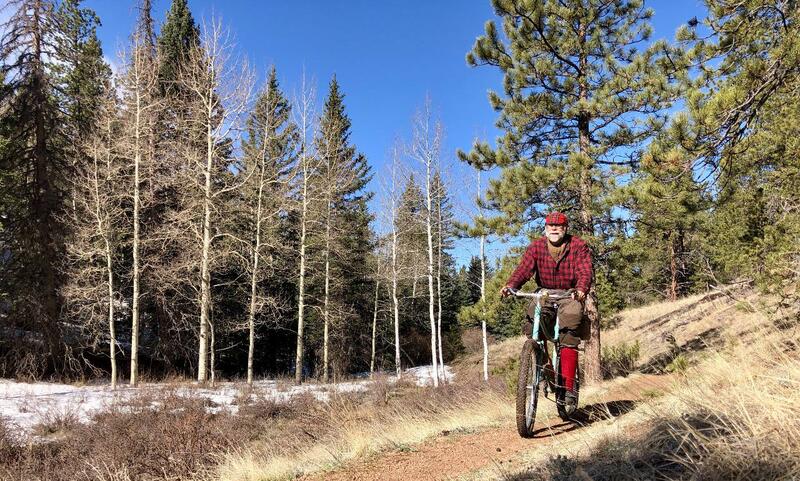 Grant calls this a “hillybike,” wanting to distinguish it from “mountain bike,” a term now irreparably tied to body armor, motorcycle technology, and conquering trails rather than enjoying them. First, some context. 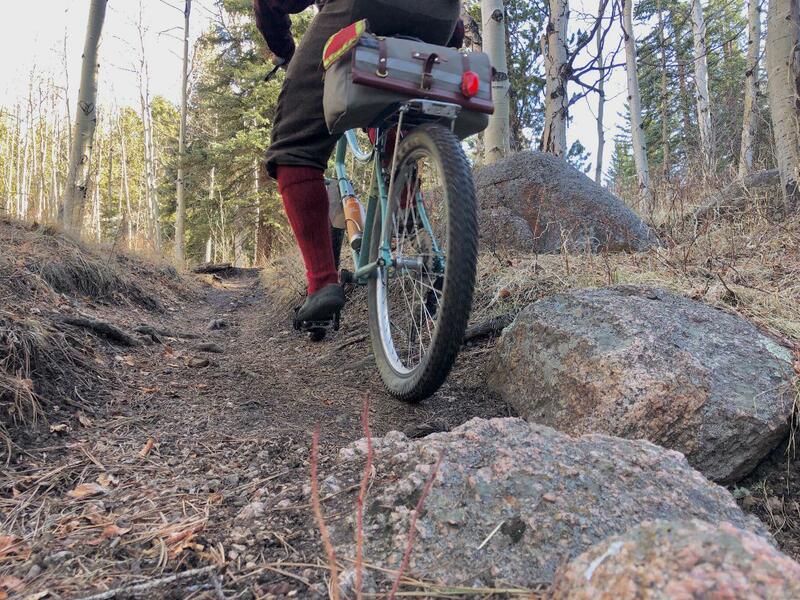 I’ve ridden fixed gear, including for bikepacking, close to daily for the last eighteen months. Why? Because my brain does better with fixed gear. I converted my Hunqapillar to be fixed gear, anticipating that it was as close to a full-on mountain bike as Grant would make. Of course, within a year, out pops Boots. Grin. In essence the bike Grant would have made me if I bought a custom, except not fixed. When the prototype come up for sale, my wife surprised me and bought it. A very happy birthday indeed! 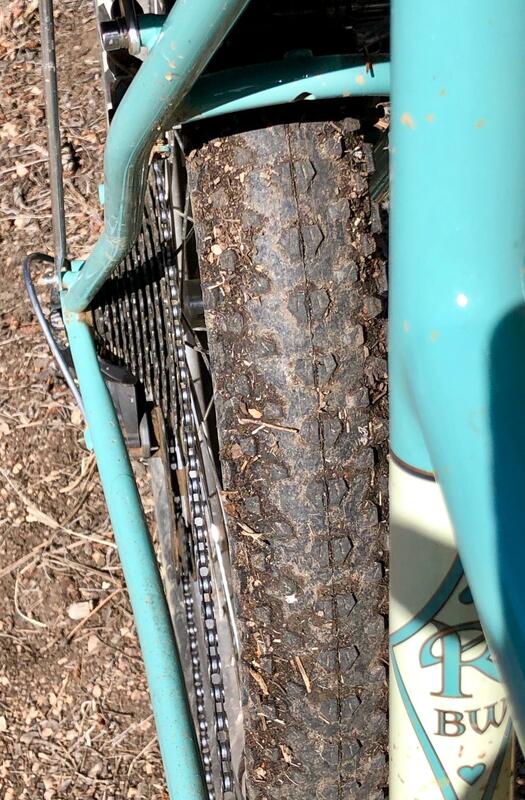 We’d talked about experimenting with it as a geared bike because I never tried going back and forth and see how my brain did doing so (so far, so good!). 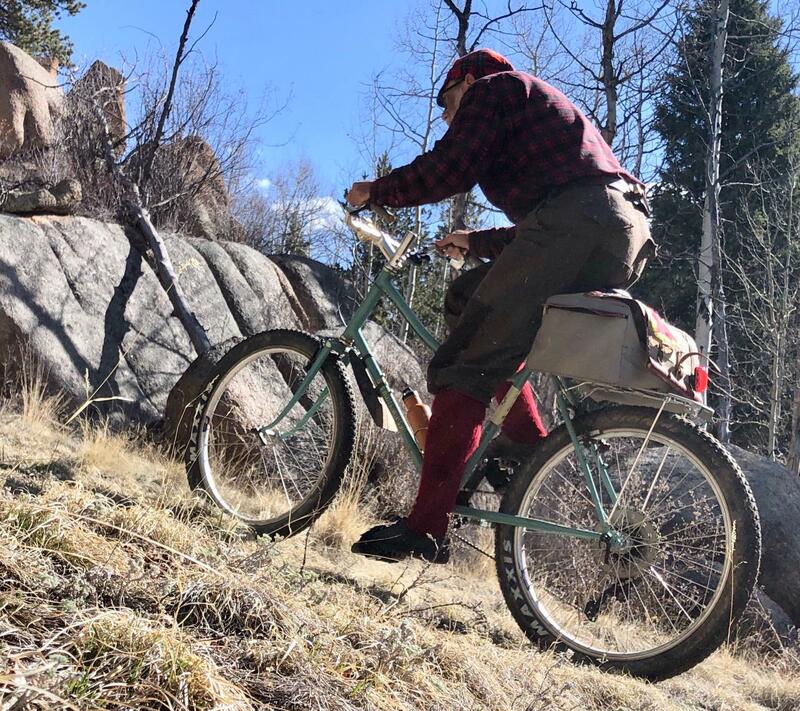 Also, a geared bike and freewheel address several of the challenges of bikepacking fixed: changing gears with an 85 pound rig, gearing too low for long, steep mountain descents, among others. Would a geared bike, purpose built for adventuring with about 40 lbs of gear, make such adventures as brain-budget-effective as fixed gear? We decided to test that out, buy the prototype, and if it didn’t work as I need it to, I can convert is as well. So far, the first forty miles (with only a day load) have been remarkable, meeting my highest realistic hopes: I feel a difference, but from what requires more testing. My first ride had no noticeable difference, but that could easily be new bike euphoria. My second ride had a difference, but there were 50 mph cross winds that made the return trip extra adventure, so could easily have contributed). In a word? Brilliantly! It is long wheelbased (as you can see in the photos), yet nimble, handling technical trail better than my Hunqapillar geared or fixed. Part of this is the 2.8” “plus” 27.5” wheels and tires, which float over rocks and roots beautifully. Most of it, I suspect, is Grant’s geometric genius. Climbing is smooth and elegant. Beorn holds a line better than any bike I’ve ridden, and that is saying a lot given how well both my Quickbeam and Hunqabeam hold a line. 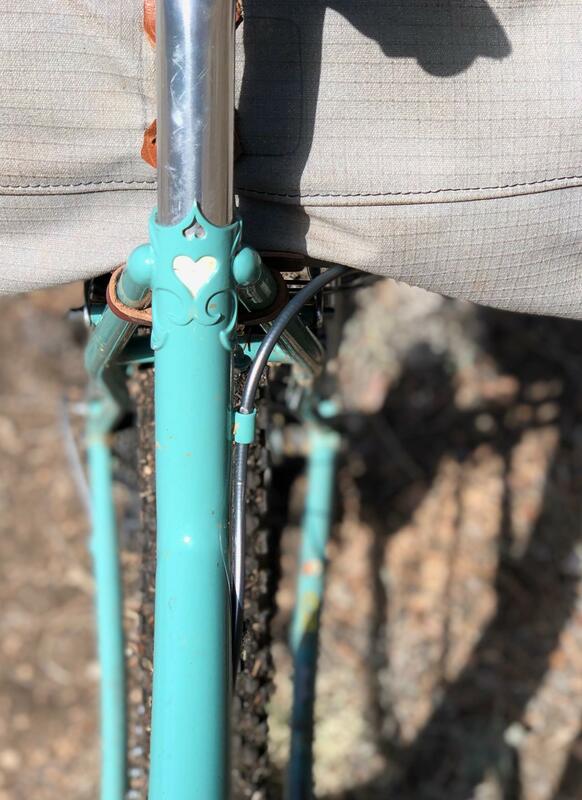 The long chainstays don’t hinder maneuverability and likely, somehow, enhance it. Just sit comfortably in a mostly upright position and climb. Amazing. With a longer wheelbase, weight is between the wheel hubs even on steep climbs and descents, making the bike very stable and predictable. 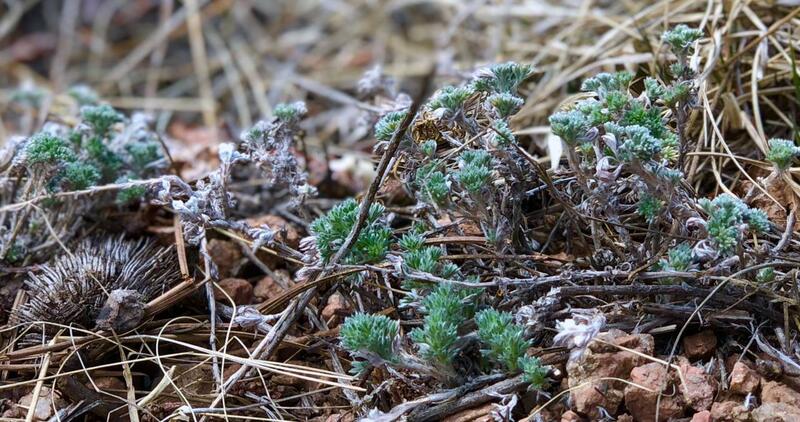 Sage spring sprig bright yet dusty (after I ride it a wee bit) greenish blueish green. Or close enough. Grin. On my second ride, a solid spring storm was due to blow in at noon, plummeting temperatures and bringing wet, heavy snow. A precursor to the storm hit where I was two hours early. 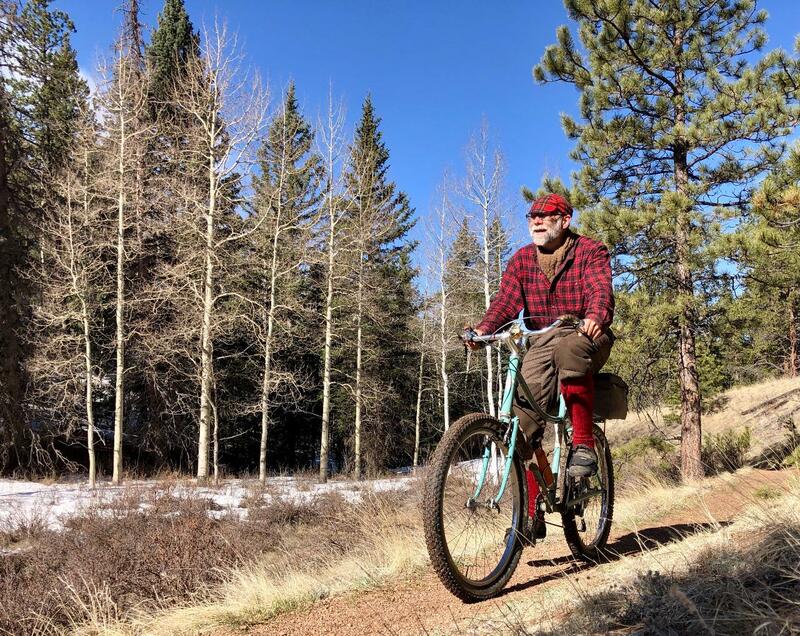 It was the wonder of Colorado to be sitting on a sloped meadow with newly emerging sage, butterflies flitting about, the sun shining a few moments, winds gusting briskly, and to top it all off, flurries rode the same wind with the butterflies. These moments are priceless. Descending with confidence, even over icy patches.